There are currently 204 people online. 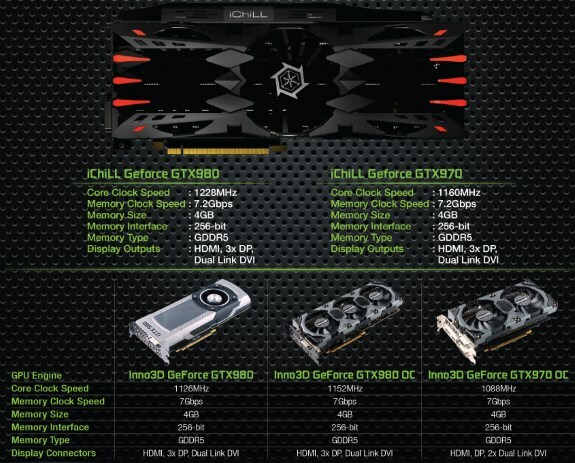 Inno3D send out an e-mail to show off its new GeForce GTX 980 and GTX 970 graphics cards. It includes a reference design based GTX 980, iChill versions of the GTX 980 with custom cooler and overclocked frequencies as well as more modestly overclocked 970 and 980 OC versions with custom cooling.